The western sword fern (Polystichum munitum) is a fern species of the cosmopolitan genus Polystichum that is native to western North America. It can also be called the giant holly fern and the Christmas fern. There are over 260 species in the Polystichum genus, almost half of which are native to China and another 100 to Central and South America. 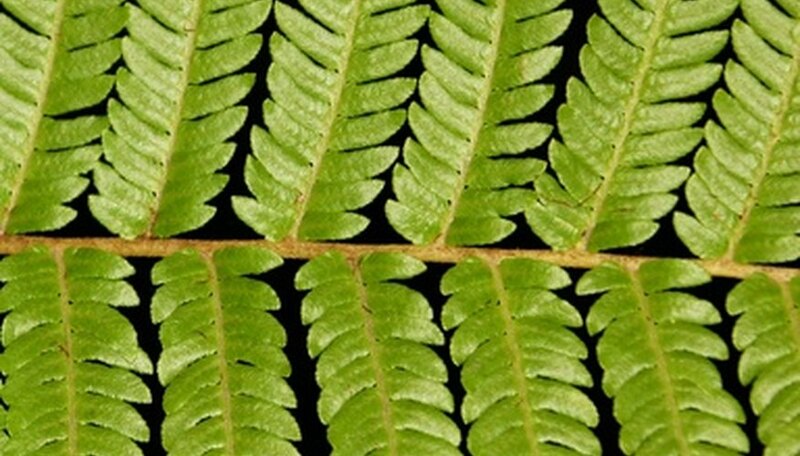 The common name sword fern also refers to Nephrolepis cordifolia, an ornamental fern species that is considered invasive in Florida; it can also be called the tuberous sword fern, narrow sword fern or the fishbone fern. The western sword fern has leathery, pinnate leaves up to 5 feet in length, with alternate pinnae, or leaflets, that can be 6 inches long. The leaves grow out radially from a central underground rhizome. Each leaflet has serrated edges and two rows of spore-producing sori on the underside which look like round, yellowish spots. The arching leaves are held semi-erect and the plant can form large clumps. The western sword fern is a wide ranging species that is found along the western coast of the United States from Alaska to California and inland as far east as Northern Idaho and Northwestern Montana. It is also found in Western Canada in British Columbia and the Yukon. There is an isolated population on Guadalupe Island off Baja California and another in South Dakota's Black Hills. Found along stream banks and in moist hollows of coniferous forests, the western sword fern thrives in damp, low-light conditions and acidic soils. It is native to redwood and Douglas fir forests as well as mixed evergreen forests. It is widely cultivated as an ornamental garden plant on the West Coast but is inexplicably difficult to grow on the East Coast of the United States. Western sword ferns are hardy down to minus 4 degrees F and will grow in USDA Zone 6 and above. They grow well in rich, acidic soils and low light conditions, although adult plants will tolerate some direct sunshine. Sword ferns thrive in moist conditions but can survive through periods with little water. Cultivated plants should be fertilized with an all-purpose fertilizer at half strength every two weeks during the spring and summer. Old fronds should be removed for cosmetic reasons and to prevent fungal attack. Otherwise, the sword fern is rarely troubled by pests. Propagation is by division of mature clumps at the rhizome. Sword fern leaves are gathered in the wild for use in floral arrangements and funerary wreaths. They can be kept in cold storage throughout the year. In times of need, Native Indian tribes collected the rhizomes and ate them after peeling and roasting. The mature spores are used in traditional medicine as a cure for the pain of nettle stings.